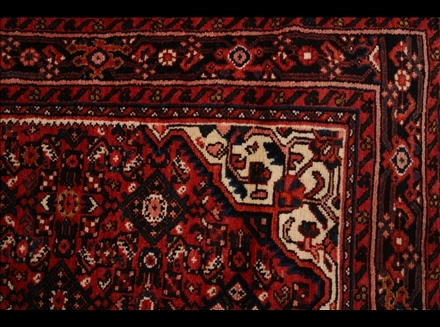 The Bakhtiari tribe, based in Chahar Mahaal and Bakhtiari, is well-known for their rugs and weavings. 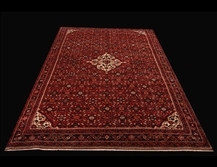 They have been weaving rugs exported around the globe since the early 19th century. 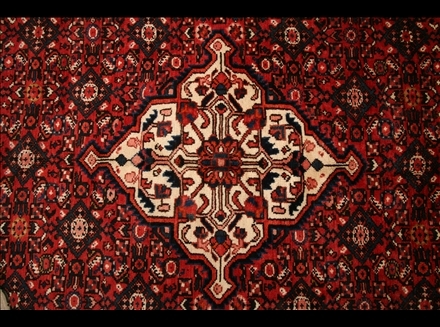 Bakhtiari carpets are based on a cotton foundation (warp) with a wool weft usually taken from the herds of the producing tribe. 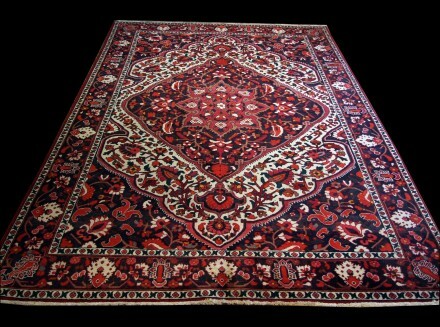 This leads to unique carpets that differ depending on the characteristics of each tribe’s wool. 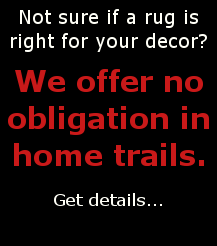 Patterns are usually floral or garden inspired. 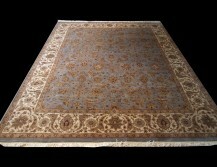 The Khesti, an established garden motif is perhaps the most well-known rug design. The carpet is divided into individual squares with animals and plants acting as symbols. 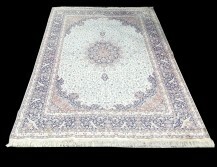 Another influential design features a decorated field with lattice designs and floral ornaments.